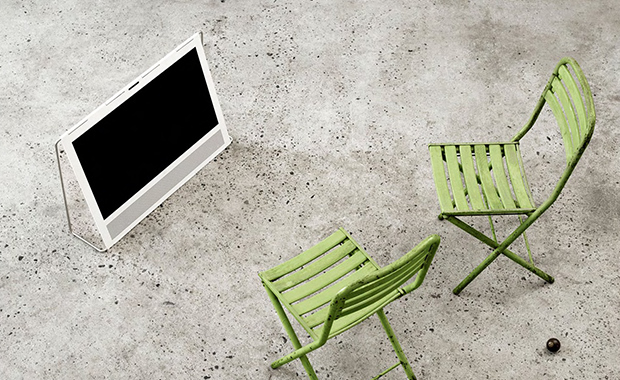 Bang & Olufson's BeoPlay V1, one of the awarded submissions in the 2012 Good Design International Awards. Product design by Anders Hermamsen. The Chicago Athenaeum: Museum of Architecture and Design is now accepting applications for the 2014 Good Design Award – its International industrial and graphic design awards program for the most innovative and cutting-edge industrial, product, and graphic designs. Now in its 64th year, Good Design is the oldest and one of the most prestigious Awards Program organized worldwide. Any product or graphic produced and/or designed from January 2012 to the present is eligible the enter the next year’s award competition. Product design submissions include: Electronics, Protective Equipment, Bionics/Robotics, Energy Systems, Office and Residential Furniture, Housewares, Tabletop, Textiles, Floorcovering, Building Materials, Lighting, Appliances, Transportation, Consumer and Household Products, Business and Industrial Equipment, Hardware, Tools, Machinery, Children’s Products, Personal Effects, Sports and Recreation, Telecommunications, Computer Equipment, Medical Products, Kitchen and Bath, Environmental Design, Public Environments, Materials. Graphic design submissions include: Books, Magazines, Websites, Advertisements, Catalogues, Corporate Identity Programs, Annual Reports, Handbooks, Posters, Signage, Labels, Packaging, Product Communication, Typography, Atmosphere, Sales Promotion, and Digital and Media Interfaces. The emphasis of the Good Design program is on quality design of the highest form, function, and aesthetic. The submission fee is $350 USD per entry.